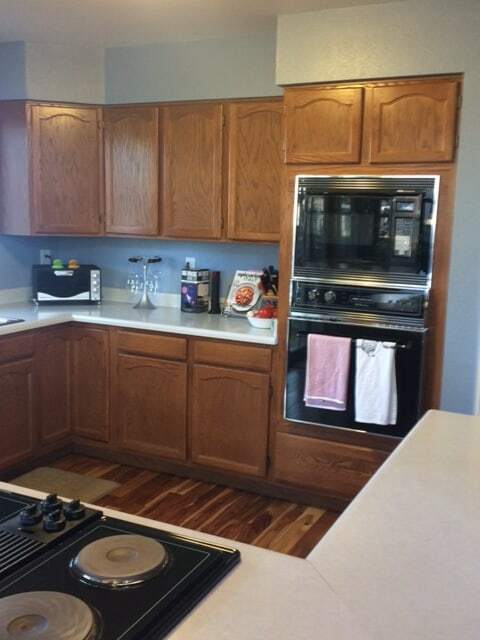 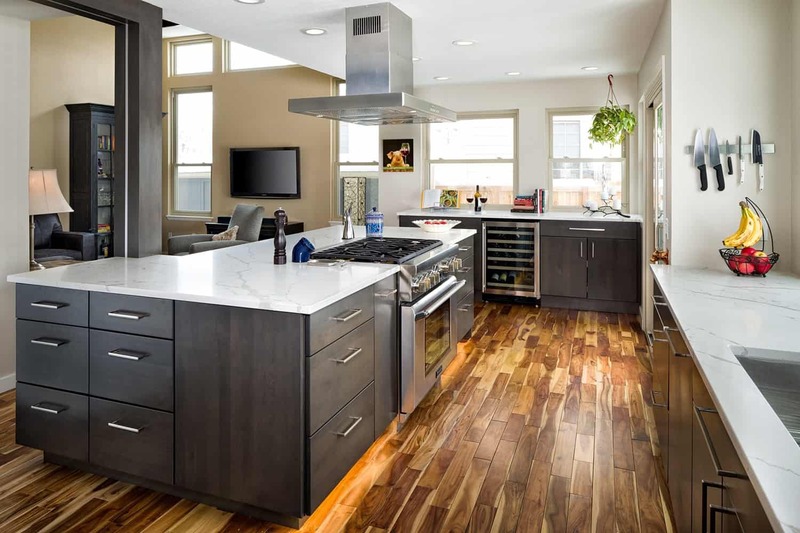 This kitchen remodel focused on improving the layout, functionality, and design. 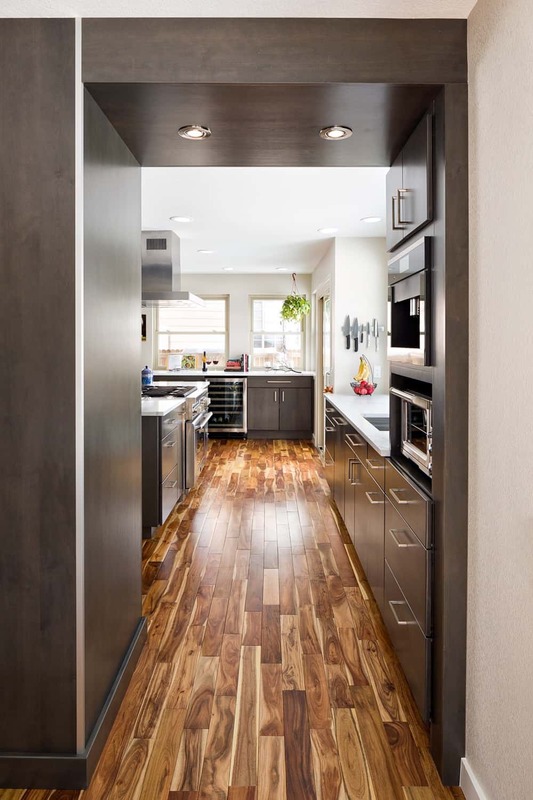 Originally a confined outdated kitchen (see before photos at the bottom), the team looked for ways to open the kitchen to the rest of the home and give it more of a contemporary feel. 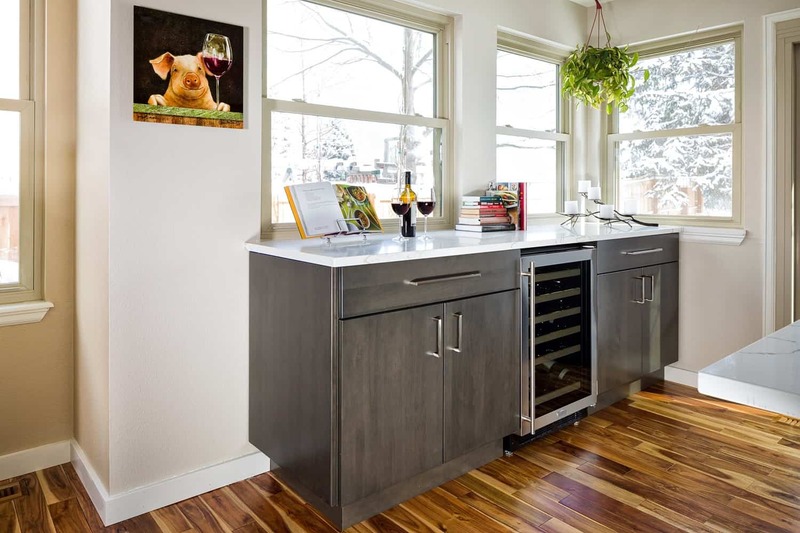 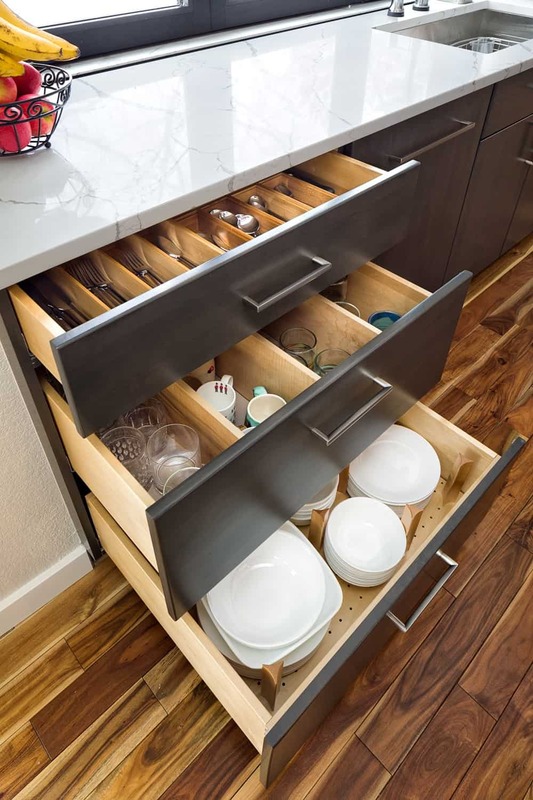 No upper cabinets were used in the kitchen, and custom storage solutions in the lower cabinets gave the homeowners enough space to organize all of their kitchen gear while giving the space a very open feeling. 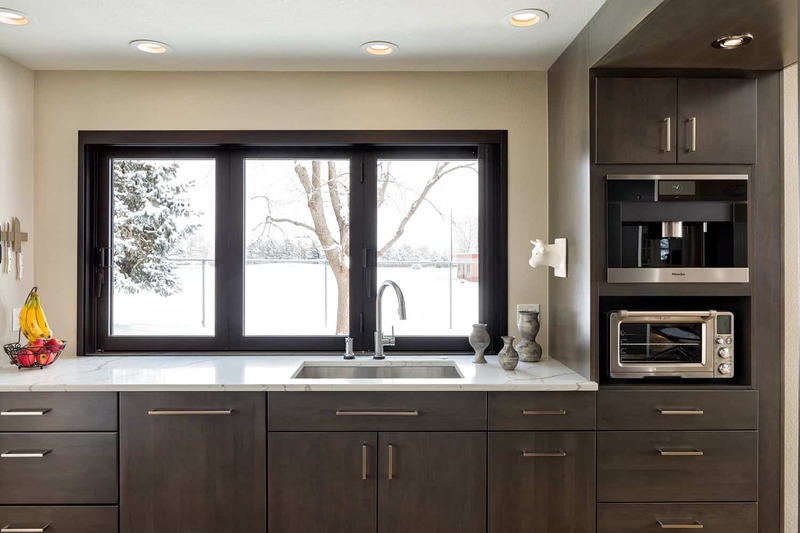 A La Cantina window was installed behind the sink and opens all the way to the wall creating a pass-through for outdoor entertaining, and to help connect the outdoors with the indoors. 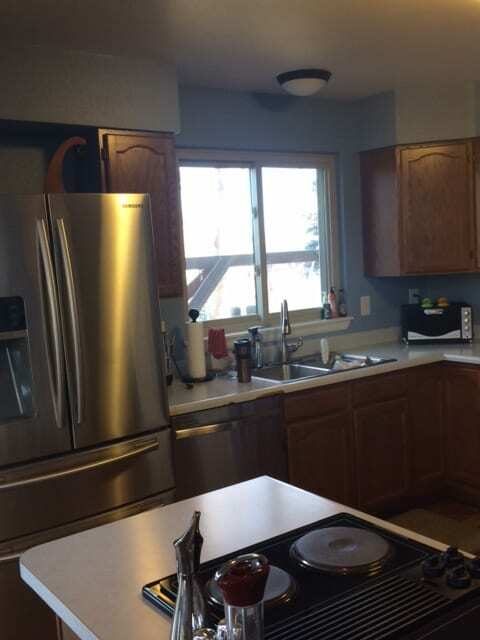 The window also features a collapsible screen that can be used to allow the breeze to come in while keeping the bugs out. 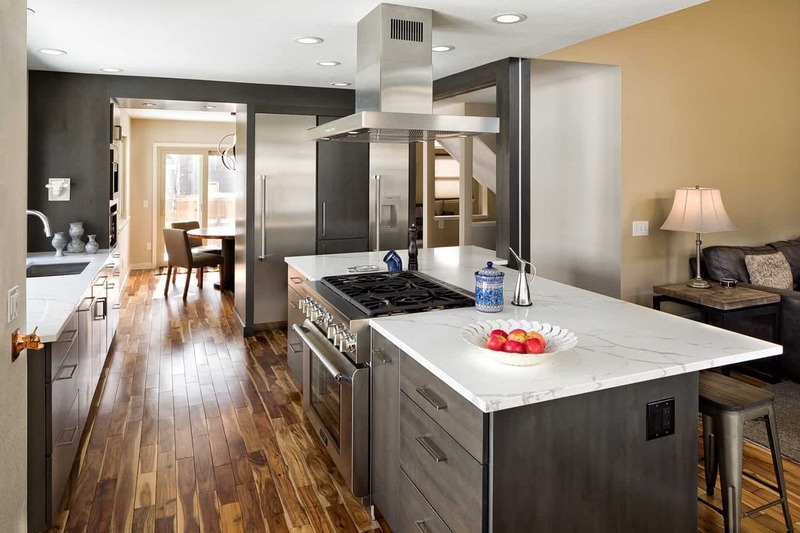 Upgraded appliances also help the kitchen function more effectively for the family. 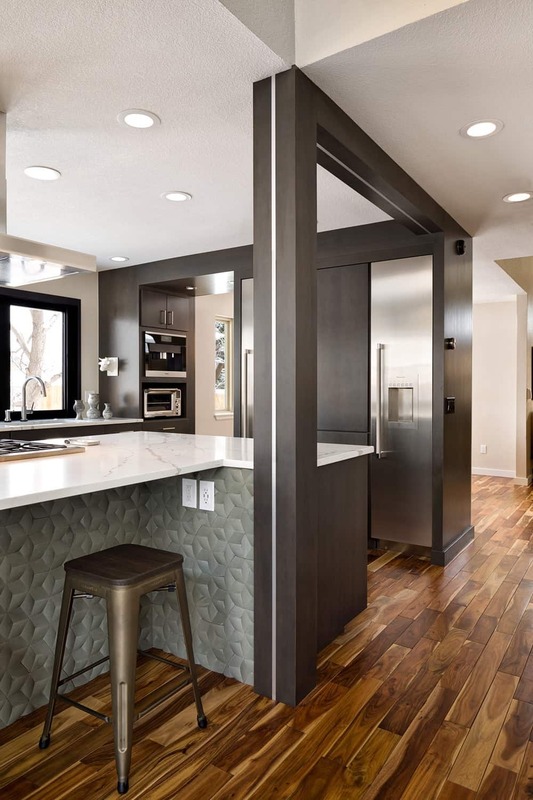 3D tile on the base of the island is a stunning focal point, and it compliments the reflective metal accents found throughout the space. 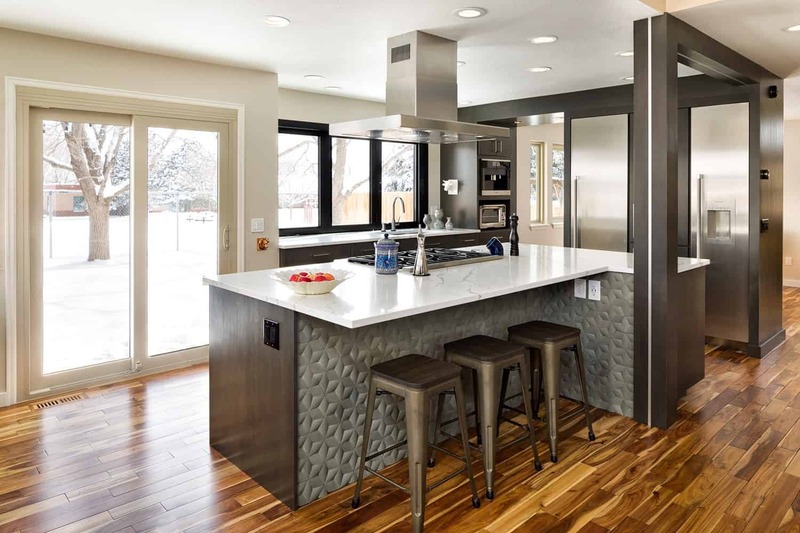 During the design phase, it was discovered that a main plumbing line for the home ran through the wall that the team wanted to use for the refrigerator and freezer and it would be too costly to redirect the line. 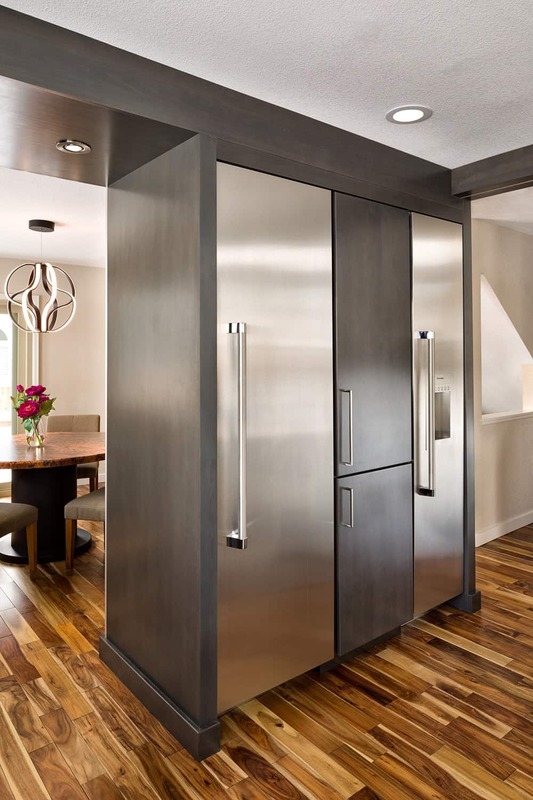 Therefore the team came up with a creative solution to break from the traditional side-by-side units and separate them. 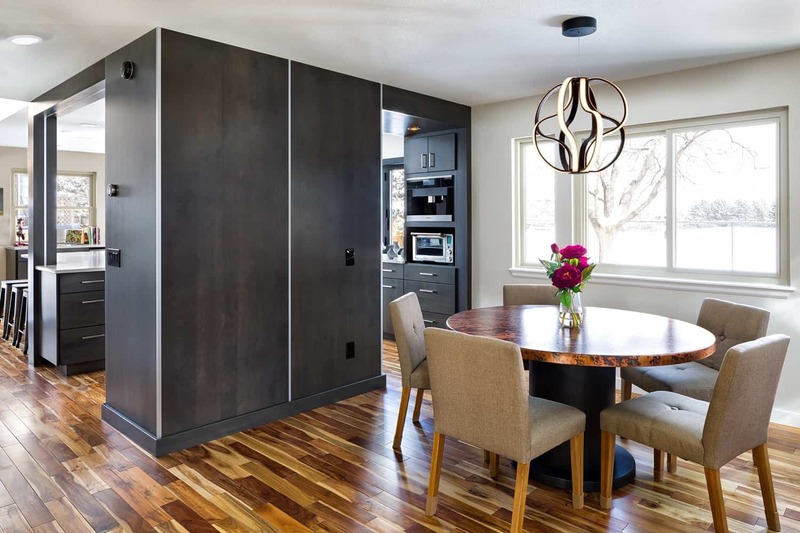 Pantry storage was inserted between the two and now it meets the functional, aesthetic, and budgetary requirements of the client.